Six new homes averaging $900,000 were sold during the first week of July in Canopy Oaks. Developer Mason Simpson reports sales have accelerated as the gated enclave of 49 luxury homes fast approaches sell out. A total of 38 homes have been sold since construction began during the spring of 2016 and 19 families have moved in. In recent months, the City of Winter Garden made national headlines when recognized by SmartAsset.com as “The best place in Florida to raise a family”, besting 62 communities. Also, Canopy Oaks was named as one of the “Top Ten Communities In Orlando” by Orlando Style Magazine, as well as receiving the greatest number and highest awards given by the Orlando Parade of Homes for homes in central Florida. The new models at Canopy Oaks were given the prestigious “Grand Award” and were judged better than about 100 homes in the Parade, some priced over $2,000,000. 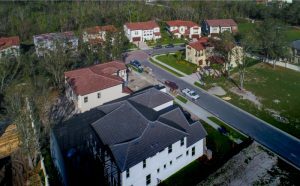 Most of the new families that recently purchased visited for the first time months ago and were impressed with the way the tree-canopied community has come to life with an appealing mix of architecturally elegant homes. Each stated they were compelled to purchase by the curb appeal of the homes and by the serene setting of an intimate enclave that is so close to Winter Garden’s historic downtown. The sixth sale was to a family new to Orlando, impressed with Winter Garden’s A-rated public schools and Canopy Oaks’ superior location in the midst of all the town has to offer, not to mention its access to all the area’s expressways in just a few minutes. As the community nears build-out, the number of young families moving into Canopy Oaks is certainly reflected in SmartAsset’s findings. Time is running out for prospective purchasers, but the eleven opportunities remaining for sale in Canopy Oaks include a full spectrum of lakefront, perimeter and interior homesites, offering families a range of price points for a luxury four, five or six-bedroom home with a three-car garage and pool from the high $600’s to $1.2 million. Some of these inventory homes are already underway or a purchaser can select a lot and build the home of their choice. Models are open daily at 12902 Roper Road, Winter Garden. 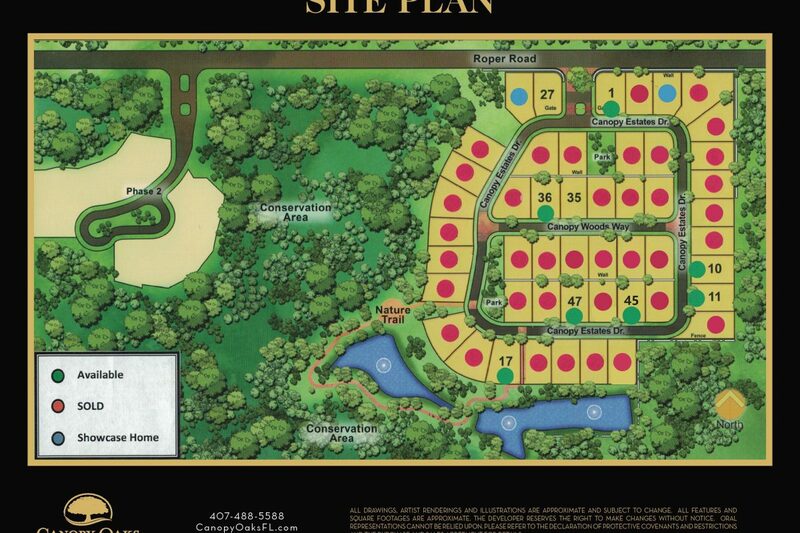 Visit www.CanopyOaksFl.com to view 3-D model tours or call 407-488-5588.